Grunge Grey is a mid grey industrial looking ceramic gloss wall tile. 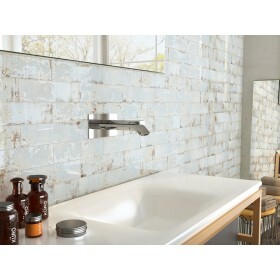 This amazing tile is ideal for a feature wall in a bathroom or kitchen. Totally in the moment of urban style, these tiles are also available in four other colours. Iron, Oxid, Aqua and Blue. 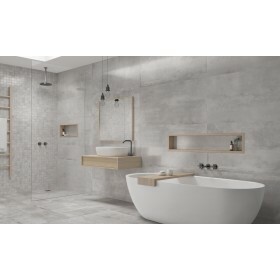 With a glossy finish and industrial look and feel, this tile is incredibly stylish. 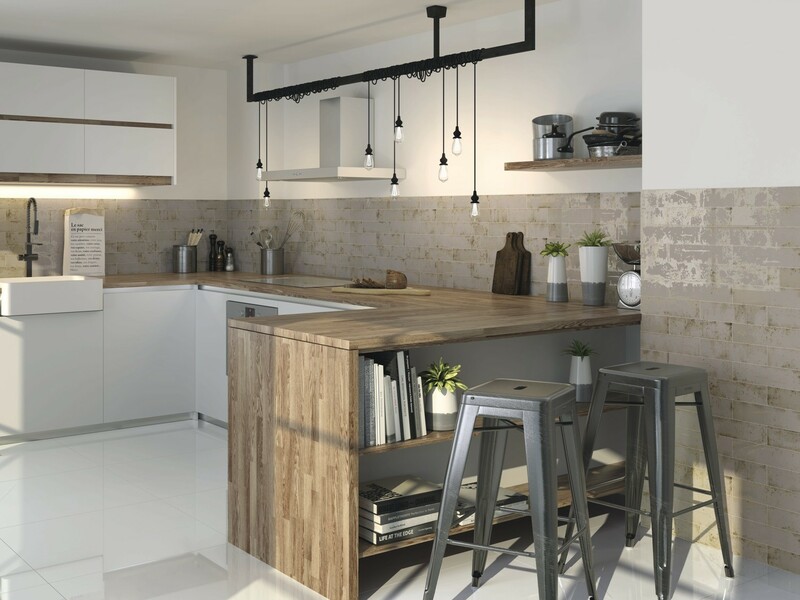 Perfect to be used in a contemporary kitchen or bathroom as it is incredibly versatile. These tiles do not require sealing and due to the gloss finish are simple to clean.